THIS SPACIOUS PENTHOUSE WITH FANTASTIC VIEWS OVER HAMBURG IS SITUATED ON THE ISEBE CANAL AND THE BANKS OF THE RIVER ALSTER. 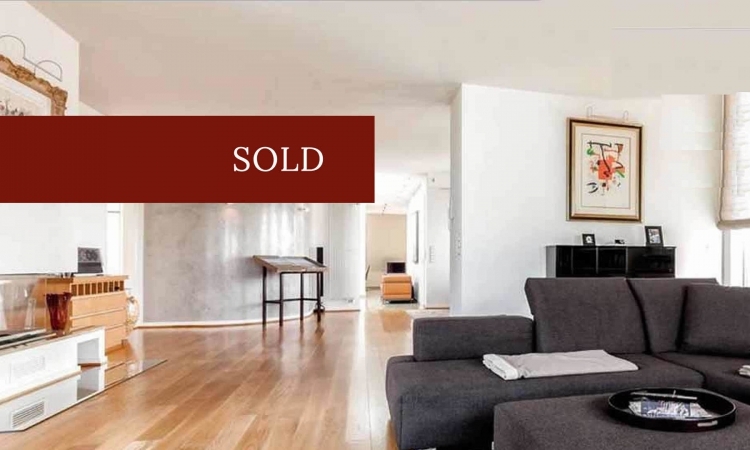 We handled the sale of this desirable penthouse property in Harvestehude. Elegant villas, weekly markets, natural greenery and gardens make this location close to the Alster one of the most idyllic areas of Hamburg. Despite its almost rural character, the city centre and the exclusive stores of the Neue Wall are easy to reach and only a stones throw away. Just a short stroll along the green banks of the Alster separates Harvestehude from the vibrant centre of the Hanseatic city. We can offer you attractive properties in desirable locations not only in HAMBURG, but also on the BALEARICS and the CÔTE D’AZUR. Our in-depth knowledge of the particular characteristics of each of these regions and our well-maintained local networks are enormous advantages in our work. Are you putting your property on the market or looking for a suitable property to buy? We would be pleased to help you in your search for a new property, take care of the sale of your current property or make a property survey and valuation for you. Please call us to make an appointment to discuss your particular needs.